I’m actually more excited for the return of the pink tie. That second photo suggests he’ll also wear his red jacket with blue shirt and pink tie. Assuming light-colored pants, then that’s the full definitive second series ensemble. The majority of specials where he wears that outfit swap the tie to yellow instead of pink. Cool to see there's a new special coming, and I love hawt jacket news. Plot details, and maybe TMS can do a 30th anniversary of Cagliostro theme with it, and/or 32nd anniversary of the red jacket Lupin show, I guess? I hope the reason for Jigen's betrayal is something other than "made a promise to someone in his past that he now has to keep". That'd just feel lazy. I honestly don't know what to think about this. I'm curious to see an extended Jigen vs Goemon fight, but I'm not comfortable with Jigen betraying Lupin. I assume they'll make up at the end and whatnot. It'll be like that time mild spoilers when Crockett fought Tubbs in Miami Vice, etc. Or Fate of the Furious etc. Friend vs friend in fiction can feel a bit played out, but I think it'll be classy here. We have seen it before though, I recall Lupin and Jigan duelling before. And Jigen’s jacket is here. And yes, you *can* rip off a Dale jacket patch idea used on a Geneon Lupin cover! And yeah, be sure to let Dale *know*, please. So Lupin gets a black jacket and Jigen gets the green jacket. Sounds fair. Uh, let’s see. Pre-order for the CD, already, c/o @WTK. And don’t worry, guys and gals. We might still run into each other one of these days, Monkey Punch, included. See you, Cyberspace Cowboy! Wow, So excited to hear a new TV special is coming next year. Though I am also concerned with the plot of Jigen's betrayal. 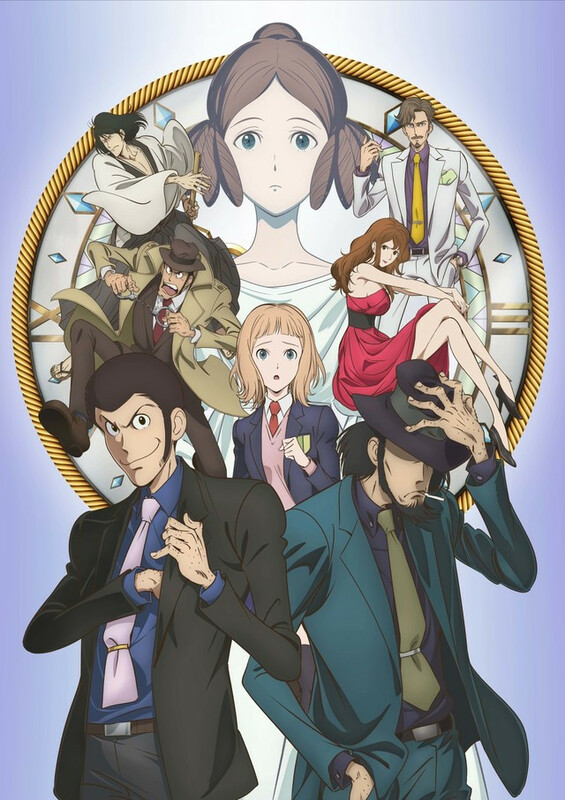 From the poster above, it seems like Lupin and Jigen switched their jackets? And judging by the title "Goodbye, Partner", maybe this feature will be the Jigen voice actor's last time voicing Jigen? He is the only voice actor who's been in Lupin III franchise from the very beginning till present. Anyways, I am happy to see another TV special from Lupin III. I kinda hope that this TV special is something to watch while waiting for a 6th TV series that picks up after the ending of the part 5 TV series. On Luis’s main page thread, too, but in case you missed it, @bolt7 just spotted the teaser trailer. Edit: Also, um, via @Lupin_Anime, Tumblr with at least seiyuu descriptions, I think, and pics, in Japanese. The trailer doesn't exactly fill me with awe or excitement, but very few Lupin teasers ever do. I can absolutely get behind a black jacket. I hope Jigen has a good reason for his betrayal. He's like Lupin's older brother. Link for the import cover and order info here, c/o @WTK.